Measure if you want to go faster! I got the chance to speak at the Manchester Sitecore user group recently, introducing some tools and tricks that can be used to measure site performance while you’re developing your Sitecore code. With the release of Sitecore 8.2 Update 1 last week, we finally have support for running our Sitecore solutions as Azure Web App Services without the need for the Sitecore Azure Module. As someone who had never tried a PaaS deployment with the old module, this brings a load of interesting benefits, but also has a few challenges to get your head around. I’ve spent a bit of time experimenting, and discovered a few things that you might want to read up on before you dive in. Recently the hard drive in my trusty old laptop failed. Annoying, but ultimately it was just an excuse to go shopping, ignore most of my backup of the old machine and re-install all my programs from scratch. As part of that I decided that I’d try experimenting with the latest pre-release version of Visual Studio 15, to see if it was stable enough for me to use for my personal projects and blog coding now. The official Sitecore NuGet feed is here! Wild times in the Sitecore world, as the release of v8.2 is has brought a load of new features. One I’m particularly pleased about is that there is now an official NuGet feed for your Sitecore references. 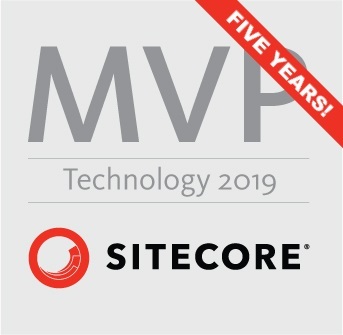 I’ve been asking pretty much every Sitecore employee I’ve spoken to about doing this for years now, and finally it’s here.